How does Geneva drive mechanism works ? The Geneva drive or Maltese cross is a gear mechanism that translates a continuous rotation into an intermittent rotary motion. The rotating drive wheel has a pin that reaches into a slot of the driven wheel advancing it by one step. The drive wheel also has a raised circular blocking disc that locks the driven wheel in position between steps. Because the mechanism needs to be well lubricated, it is often enclosed in an oil capsule. 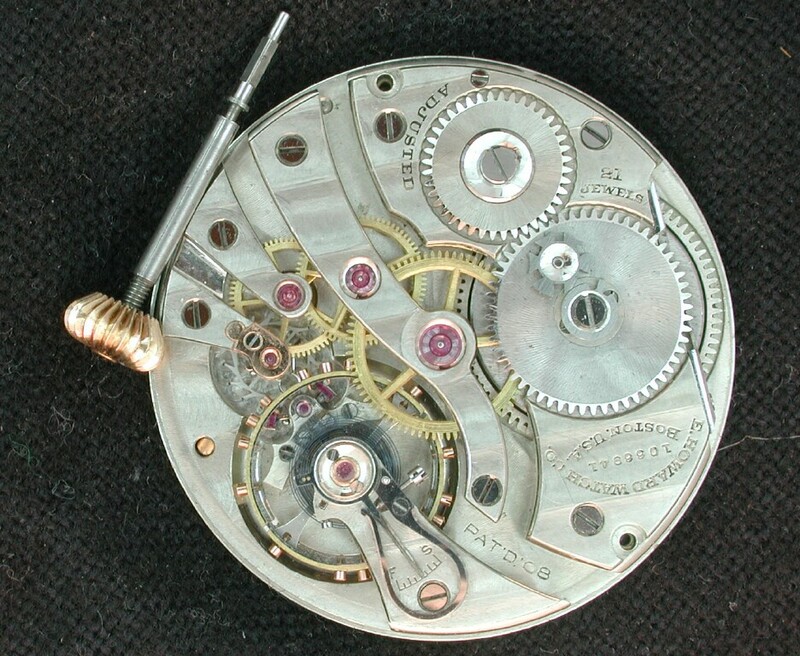 An internal Geneva drive is a variant on the design. 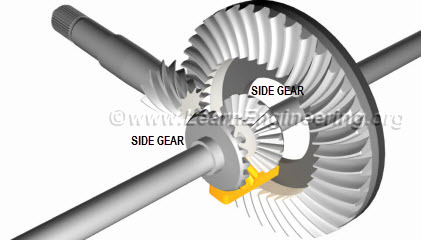 The axis of the drive wheel of the internal drive can have a bearing only on one side. The switch time is greater than the time the driven wheel stands still. This is also a main difference between them. What is Switzerland known for ? for its beautiful sceneries, yea… but also for its mechanical watches- Rolex, Omega, Rado. The name derives from the device’s earliest application in mechanical watches. Also one of the application of Geneva drive is the movie projectors. These were used earlier as the film doesn’t run continuously, instead the film was advanced frame by frame, each frame standing still in front of the lens for a very short period of time. In modern projectors, stepper motors are used. Other applications of this mechanism include automated sampling devices, banknote counting machines, CNC machines, turret lathes & turret drills. The external form is the more common, as it can be built smaller and can withstand higher mechanical stresses. 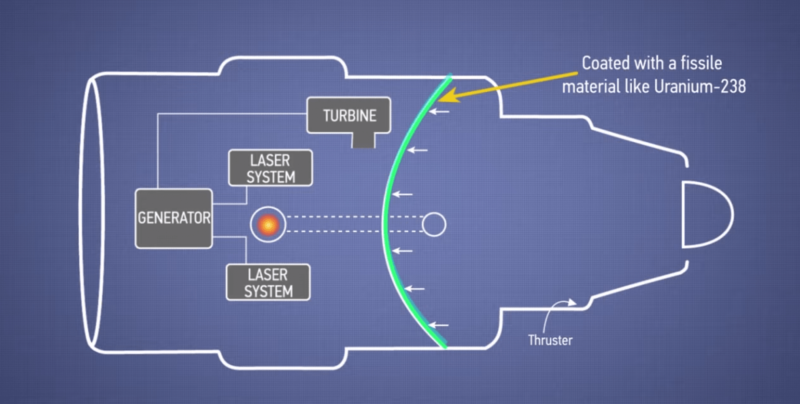 Boeing has received a patent, US 9068562, which combines inertial confinement fusion, fission, and a turbine that generates electricity. Currently this kind of engine is completely unrealistic given our mastery of fusion. But perhaps in future this might be an excellent idea. Lets imagine our standard jet engine of commercial jetliners.Somewhere in the middle of the engine lies a fusion chamber.A very strong number of lasers are focused on a single point.The hohlraum or pellet, which is a mixture of deuterium & tritium(isotopes of hydrogen) is kept at this point.When all the lasers are turned on at the same time, it creates massive pressure.This causes the hydrogen isotopes to fuse.Now according to the patent, the hot gases produced by the fusion are pushed out of the nozzle creating very high thrust. Also, one of the by-products of the fusion reaction is lots of fast neutrons.The patent explains that there is a shield around the fusion chamber.The shield is made of fissionable material(for eg:-Uranium-235).The neutrons moving at high speed collide with this material resulting in production of high amount of heat.This heat is then transferred to drive the turbine which generates electricity. Finally we are done with this fusion-fission jet engine thing. 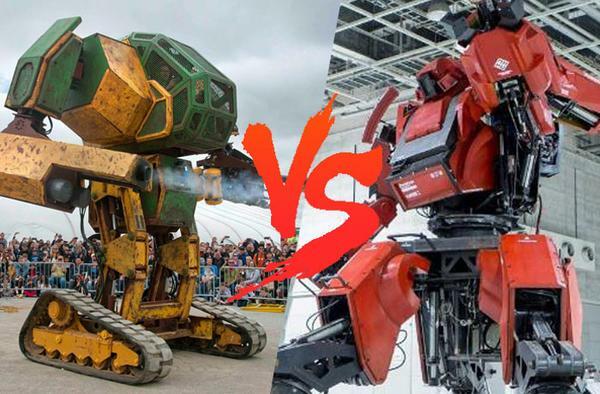 says MegaBots – U.S.-based robotics company! MegaBots issued the challenge last month after giving a final touch to its Mark 2- America’s first fully-functional, giant piloted robot. Mark 2 weighs 6 tons & can be controlled by 2 pilots, shoots 1.5 kilo paint cannonballs at the speed of over 160 km/hr. USA’s Mark 2 (left one) & the Japan’s Kuratas(right one) ! The co-founders Matt Oehrlein and Gui Cavalcanti, challenges the only other company in the world Suidobashi Heavy Industry. Suidobashi have created the giant – Kuratas, a single pilot robot which is already available commercially. The Kuratas – named after its designer, was launched in 2012. It weighs 4.5 tons, 25% less than the Mark 2, featuring Gatling guns controlled with an advanced targeting system & heads up display(HUD). Both the companies have one year to do the necessary preparations & modifications to win this epic robowar while no venue or date for this has been fixed. In my previous article we saw about how trains turn on curved tracks. Well in automobiles, we can’t use the same principle for turning around a corner as our cars don’t run on tracks. So we cannot design our tires as the train wheels. At the beginning of auto industry, only one rear wheel was driven by the engine. But if only one wheel was driven by the engine, it had to all the work & also it couldn’t maintain a good grip on the road. So if we drive or supply power to both the wheels, the outer wheel had to cover more distance than the inner one while taking a turn. This is why we need differential – to drive both the wheels at different speeds! Also the spider gear is connected to two more side gears. 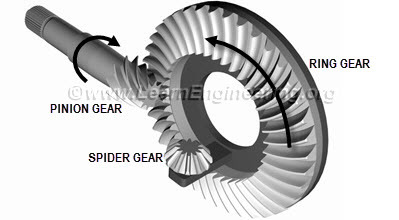 So, first the power is transferred from engine’s drive shaft to pinion gear, since the pinion gear & ring gear are meshed, power flows to ring gear.As the spider gear is connected with the ring gear, power flows to it. Finally from the spider gear, power gets transferred to both the side gears. –When the vehicle moves straight, the spider gear doesn’t spin & will make BOTH the side gears rotate at same speed. –When the vehicle moves on a curve road, the spider gear itself spins & either of the side gears move slower or faster than other one.Which will be faster & which will be slower is decided by the turn. Make sure you watch the video. I assure you a 100% guarantee of understanding the whole thing. Here is a demonstration in the most simplest way ever possible…! you can jump to 1:56 if you want to skip the boring part. Limited Slip Differentials or LSDs are the most modern and complicated type differentials used today in automobiles. The biggest disadvantage of ordinary differential is when a slip condition occurs only on one wheel. The differential transmits all the power to the one which has the least resistance. This wastes too much power. Along with that, it doesn’t help the car get out of the slip condition. This is where LSDs come into action. Limited slip differential limits the amount of torque or power transmission on one wheel and transmits it to the other wheel. This is done via adding a pre-loaded spring or clutch packs. What is clutch? Why do we need it? Working and types with animation ! All types of Brakes animation used in automobile ! How do trains turn without differential ?